General Motors was happy to report today that, officially, 2014 GM June sales were the best June sales that the company has seen since back in 2007. Reportedly, total sales were up 1 percent compared to last June, with retail sales up 1 percent and fleet sales up 2 percent. The auto giant delivered 267,461 vehicles here in the United States. That is with two fewer selling days this June compared to last June, however. 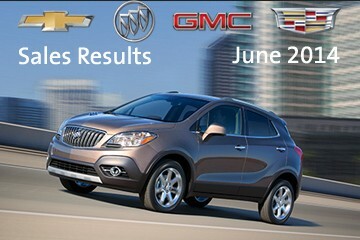 When the numbers are adjusted to reflect the number of selling days, GM sales were actually up 9 percent. Specifically, Buick had its best June since 2006 (up 18 percent), with the Encore up 82 percent, the LaCrosse up 33 percent, the Regal up 26 percent, and the Enclave up 5 percent. GMC saw deliveries shoot up 11 percent, also experiencing its best June since 2006. The Yukon was up 120 percent, and the Yukon XL shot up 70 percent. The Terrain climbed 8 percent while the Savana rocketed 129 percent. 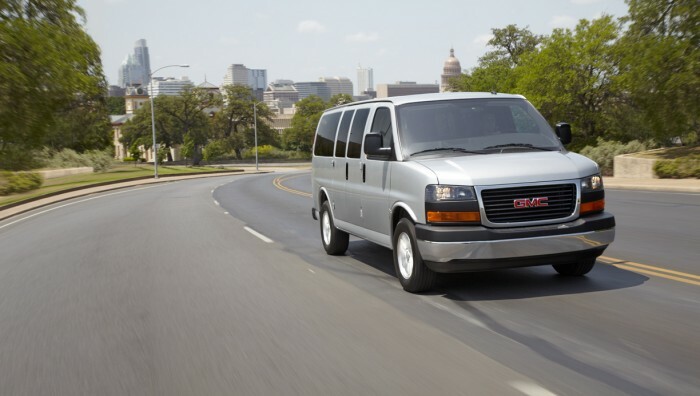 The GMC Savana saw the largest percentage increase in June for General Motors. Chevy also saw great success, with the Spark and the Sonic up 19 percent 36 percent, respectively, and the Tahoe and Suburban up 93 percent and 73 percent, respectively. The Silverado inched up 1 percent while the Traverse managed to gain 3 percent. Cadillac sales were up as well, marking the brand’s best June since 2008. The Escalade and the SRX were best sellers, up 57 percent and 19 percent, respectively. June was also a noteworthy month for the General’s commercial fleet business, which saw its eighth consecutive monthly increase and its best June since 2007. “It’s clear that our commercial and small business customers are expecting a strong second half of the year and they are building their fleets to meet demand,” McNeil added.